Cluttered screens and L-bars packed with tickers, bugs, promos, stock indicators and sidebars have long been a point of contention for cable news viewers — but one Bloomberg correspondent’s wardrobe managed to capture his network’s colorful clutter in one shirt. 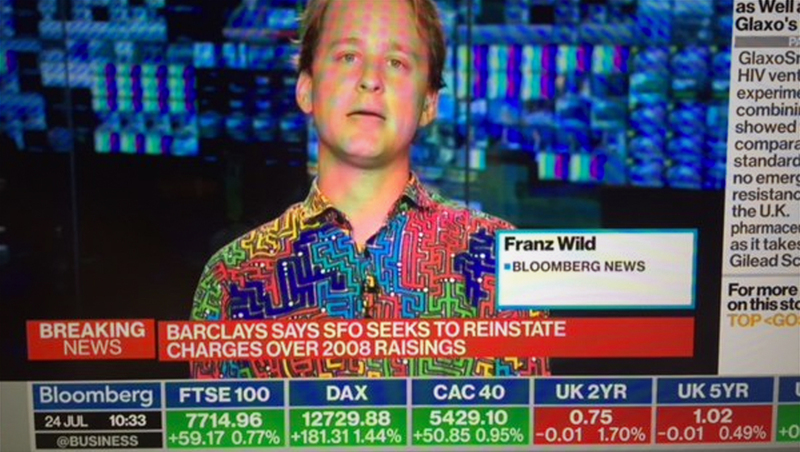 Bloomberg’s London based Franz Wild, appearing during the 10 a.m. eastern hour on July 23, 2018, wore a shirt that had a unique multicolored maze-like pattern. His colleague Cam Simpson noted on Twitter that the shirt had striking similarities to the colorful L-bar Bloomberg’s cable feed includes — including the various shades of blue, red, green and yellow. 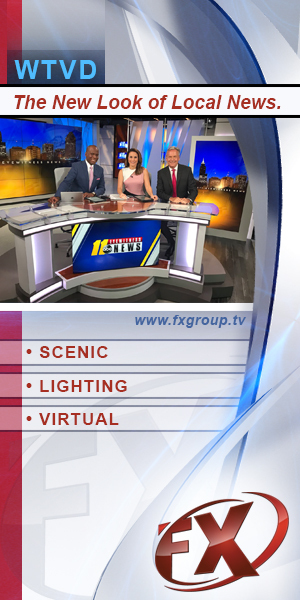 Because the L-bar includes live data inserted by Bloomberg’s control room, it is not included in show video clips posted to the network’s website.